Once the ultimate political outsider, Louisville businessman Matt Bevin became the second Republican Kentucky governor in four decades Tuesday, defeating Democratic Attorney General Jack Conway. With all of the state’s 120 counties reporting, Bevin led with 525 percent to 43.8 percent for Conway and four percent for independent Drew Curtis. Most of the race between Democrat Jack Conway and Republican Matt Bevin, has been mean as a rattlesnake, and just as venomous, with attack ads and mail pieces clogging the airwaves and the mailboxes of the Commonwealth. But the end of a debate on Kentucky Educational Television Monday night – the last before the election between Bevin and Conway ended on an almost conciliatory note. Kentucky voters head to the polls next Tuesday to choose the commonwealth's next governor: businessman and Republican Matt Bevin, or Democrat and current Kentucky Attorney General Jack Conway. Rand Paul, Kentucky’s junior senator, didn’t bring up the subject of his campaign for the Republican presidential nomination when he spoke to the Florence Rotary Club Monday, but he had plenty to say about it to reporters afterwards. Paul, who is mired in the single digits in national polls, took a back-handed swipe at the Republican candidate who is leading most national polls, business mogul Donald Trump – and he did it without mentioning him by name. Political campaigns can turn on a dime sometimes. 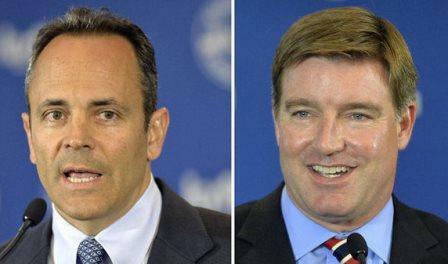 There was a time, several months ago, after Louisville businessman Matt Bevin barely survived Kentucky’s Republican primary, when it appeared that the Democratic nominee, Attorney General Jack Conway might win the general election fairly easily. It would, some thought, be like a Kentucky Wildcat slam-dunk at Rupp Arena. 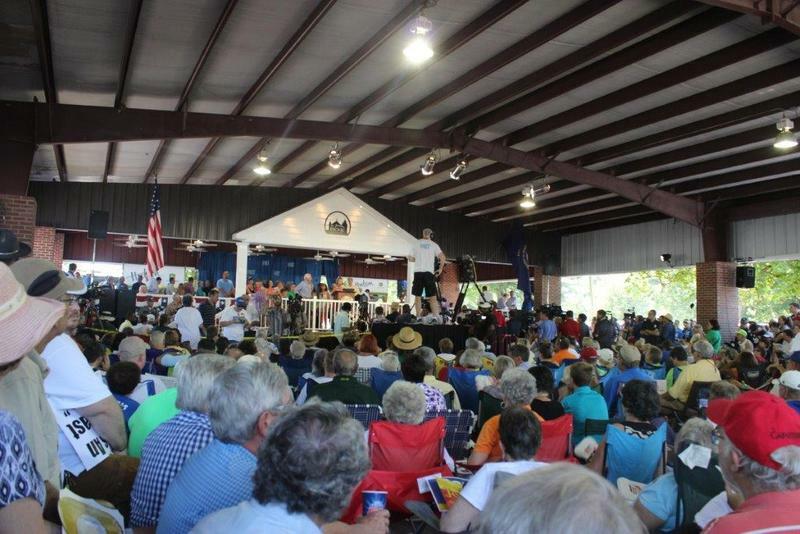 For some in Western Kentucky, the annual Fancy Farm Picnic is about chopped mutton and pork, bingo and music. But for the rest of the state it’s that weekend in August when politicians roll up their shirt sleeves and yell into a sea of cheers and boos. 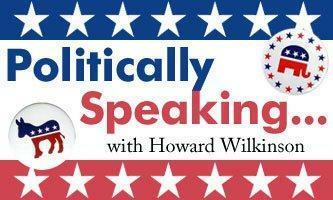 Howard Wilkinson's Monday Chat: Can The Kentucky GOP Win With Bevin? 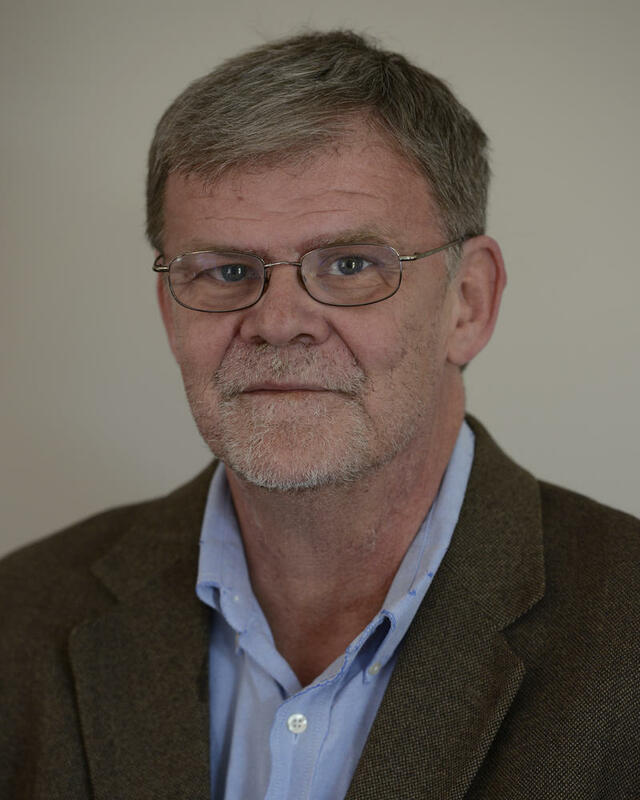 WVXU politics reporter Howard Wilkinson talked with news director Maryanne Zeleznik Monday morning about the divisions among Kentucky Republicans; and how gubernatorial candidate Matt Bevin can mend fences for the fall campaign. OK, Kentucky GOP. Matt Bevin's Your Candidate. Deal With It. 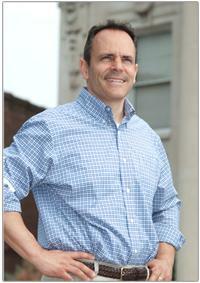 Matt Bevin is now the Kentucky Republican Party’s candidate for governor in the November election. The re-canvass Thursday of last week's votes in Kentucky's Republican gubernatorial race didn't change a thing. Louisville businessman Matt Bevin still led Kentucky agriculture commissioner James Comer by 83 votes out of more than 214,000 cast. No objections to close elections here. As a politics reporter, they’re much more fun to cover than blow-outs. And did we ever have a close one Tuesday night in the Commonwealth of Kentucky, on the Republican side of the Kentucky gubernatorial primary. WVXU politics reporters Howard Wilkinson talked with news director Maryanne Zeleznik Monday morning about tomorrow's GOP gubernatorial primary in Kentucky, which appears to be too close to call. Would you like to hear the good news for Kentucky’s junior senator, Rand Paul, or the not-so-good news first? Well, we don’t want to be accused of dwelling on the unpleasant, so we’ll start with the good news for Paul. Paul, who rode the tea party wave to a seat in the U.S. Senate in 2010, is the front runner for the GOP presidential nomination in 2016, according to one recent poll. Matt Bevin, a Louisville businessman with support from Kentucky tea party activists, plans to challenge Senate Minority Leader Mitch McConnell in the 2014 GOP Senate primary. Bevin, a partner in a hedge fund group, plans to make his announcement at the Kentucky statehouse in Frankfort Wednesday morning; and go on to campaign stops in Newport and Louisville later in the day. Challenging an incumbent U.S. Senator is always difficult; and McConnell already has $10 million in his campaign account and the support of a Super PAC called Kentuckians for strong leadership.